I've sat down to write this update more than a handful of times over the past couple of weeks, and I've really struggled to conquer my words. 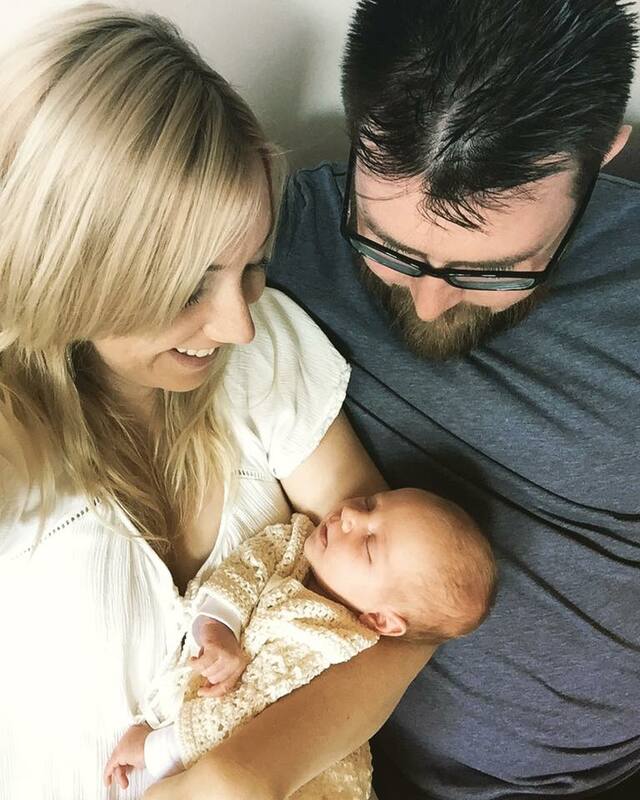 I want to tell the world how wonderful life is now that my darling girl is finally in my arms, but I also don't want to shadow the magic that is my relationship with my husband. I want to try to put into words how the love I have for my daughter is so strong, so pure, so raw and true, and yet I am struggling to describe just how I feel, because truly the feelings I have are beyond indescribable. On the 25th of February, after a lengthy and traumatic pregnancy and birth experience, our Cub arrived safely Earthside and suddenly everything else surrounding her, surrounding us, became so obsolete. Almost immediately my husband and I were in tears, simply overwhelmed by her presence. That first newborn cry had both of us blubbering like fools. I can remember my husband confirming that she was our Audrey-Lee (we had this name in our sights from early in the pregnancy, but had back up names just incase it didn't suit her) as he beamed like any new father would. I have never seen him so happy, so glad and so overwhelmed by emotion, and it was so beautiful to see him hold her for the first time. When she was put on my chest for our first cuddle she looked at me with eyes that told me she knew who I was. That moment was another I will forever cherish. The past three weeks have been full of some of the most amazing times of my life, and some of the hardest. As we get used to this new "normal", I'm learning more about my little girl and about myself, not only as her mother, but as a woman. Unsolicited advice is being thrown about like confetti, and the amount of comments about a second baby has been truly overwhelming, but I'm just taking it all in my stride. For me, all that matters now is that my daughter, my husband and I are happy and healthy. The rest can be banked for later. Thank you to the family and friends who have made their well wishes felt by visits, deliveries of sushi or other sustenance or heart felt messages. I feel so grateful that my tribe is surrounded by so many thoughtful souls.